Google Assistant functionality is to be updated to allow users to check into flights and also to act as an interpreter, the search giant has announced. The virtual assistant has been steadily upgraded since its debut in May 2016. Last year, Google Duplex was unveiled which allows the assistant to make phone calls with humans and hold realistic, convincing conversations. The forthcoming update will let users check into flights and save and retrieve boarding passes on both Android and iOS, although this will be limited to domestic US flights initially. The Assistant will also proactively notify you when your flight is ready for check-in. The new Interpreter Mode is able to translate a conversation between two people in real time in “dozens” of languages. “We see this technology expanding to more places, such as helping you check in at a foreign hotel or helping you understand the bus schedule when you’re traveling internationally or don’t speak the local language well,” said Manuel Bronstein, the vice president of product for Google Assistant. Elsewhere, the assistant is being integrated into Google Maps and will be able to share a person’s estimated time of arrival with contacts and send and reply to text messages. Bronstein said the company wanted to increase the ability of its software across a wider range of locations. “By bringing the best of Google services and AI to the Assistant, we’re focused on building the most helpful digital assistant when you’re at home, in your car or on the go,” he said. Google’s Assistant is involved in an ongoing rivalry with Amazon’s Alexa, Apple’s Siri and Samsung’s Bixby over the crown of most-popular voice assistant. 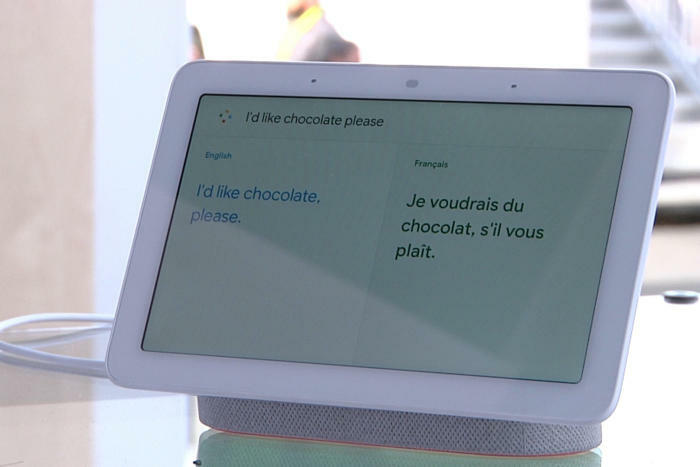 The US firm also announced a new platform called Google Assistant Connect, which it says will enable different third-party device manufacturers to incorporate the Assistant into their devices. At CES 2019, Google and Lenovo also revealed a new Smart Clock – a device likely to be seen as a rival to Amazon’s Echo Spot smart speaker. The Lenovo Smart Clock has a four-inch touchscreen and users can see alarm suggestions based on your daily routines and control other smart home devices, Google said.